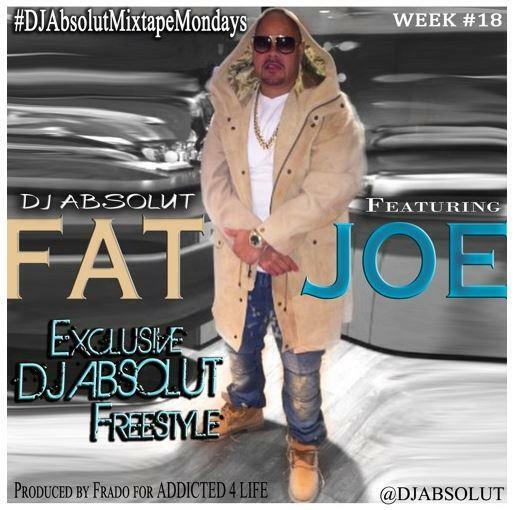 Fat Joe is the latest rapper to appear on DJ Absolut's "MIxtape Monday" series. After inviting AZ to spit some vintage NYC bars for last week's installment of "Mixtape Mondays," DJ Absolut gets an appearance from another New York legend --- Fat Joe. Fat Joe may be 45, but if this freestyle is any indication, his bars are still as lethal as ever. Working with a souled-out production from Frado, Joey Crack dispatches any and all haters to with ease, and even drops an Earl Boykins shoutout for good measure. Abso-mothafuckin-lut!! Joe needs to run back his partnership with Big Pun by way of a collab with Chris Rivers. Would be good for Rivers' career and an immedaite problem in the streets.